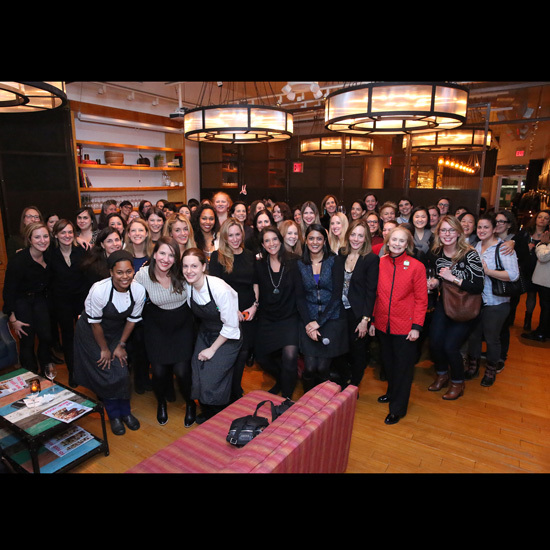 Some of New York's top #FOODWINEWOMEN in restaurants and media celebrated F&W's January issue and social media campaign last night at Corkbuzz, the wine bar founded by master sommelier Laura Maniec. Some of New York's top #FOODWINEWOMEN in restaurants and media celebrated our January issue and social media campaign last night at Corkbuzz, the wine bar founded by master sommelier Laura Maniec. In honor of the occasion, Maniec opened bottles from women winemakers, and guests like Daphne Oz, Gail Simmons, Anita Lo, Amanda Cohen, Camille Becerra and Melissa Clark snacked on hors d'oeuvres by AJ Schaller, a rising star female chef in her own right. Below, the list of bottles to look for and a snapshot of the menu from the event co-hosted by Food & Wine's Dana Cowin and Christina Grdovic.